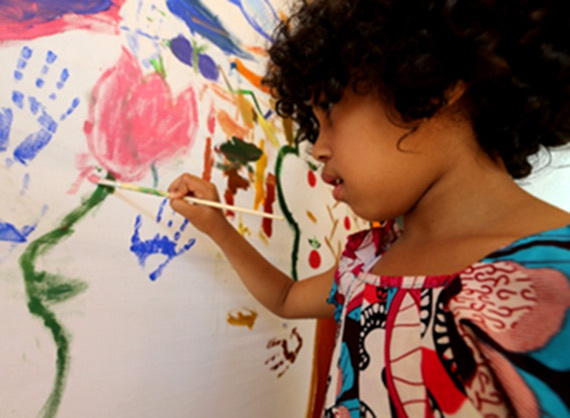 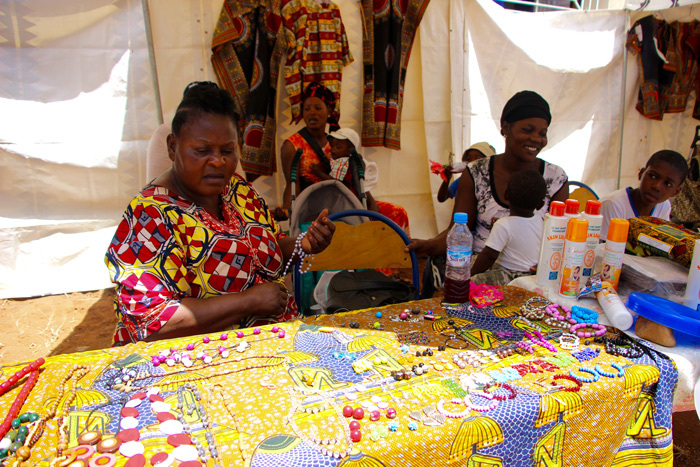 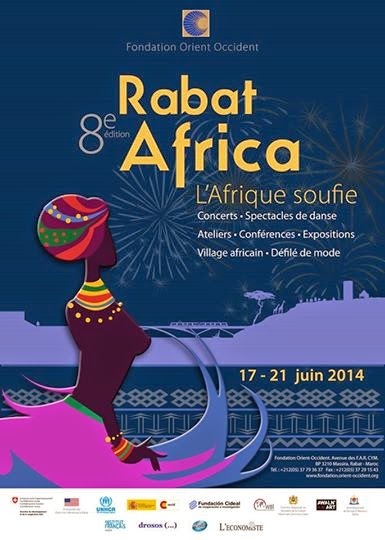 The Festival is an annual tradition of the Foundation and attracts over 5000 visitors every year: Rabat Africa is organized in occasion of the world refugee day, and in line with the general vision for integration and intercultural dialogue, in order to strengthen social ties and social cohesion between sub-Saharan migrants, Moroccan citizens and the inhabitants of the surrounding areas. 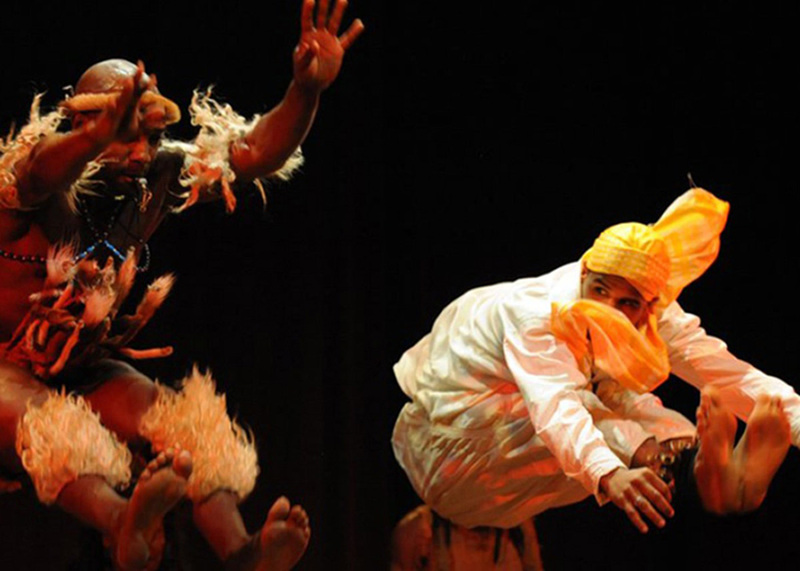 The Festival is the symbol and materialization of the values of conviviality, reciprocity, multiculturalism and mutuality. 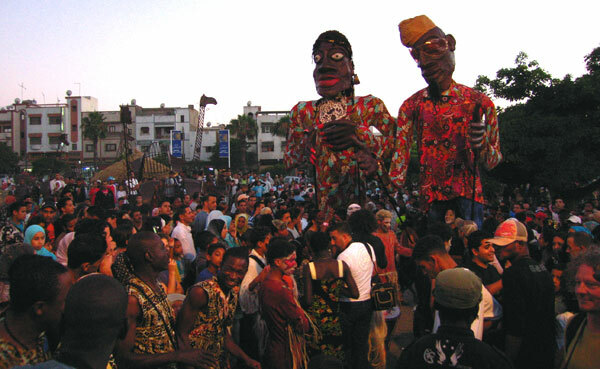 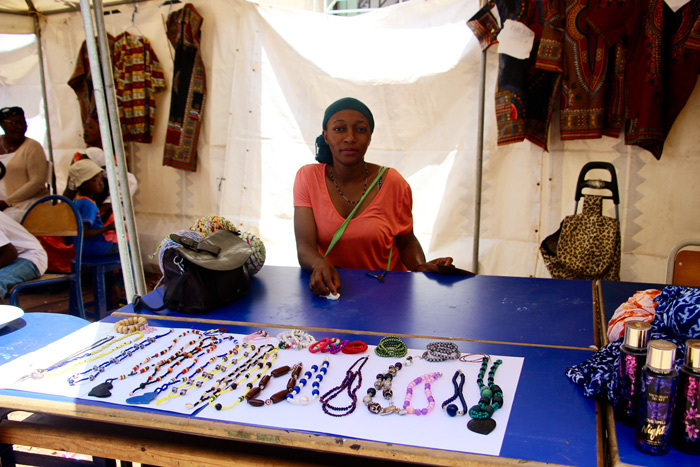 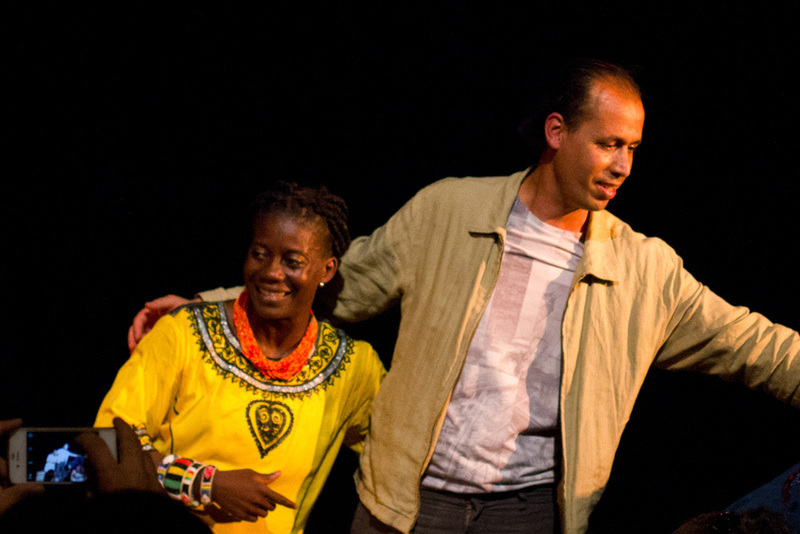 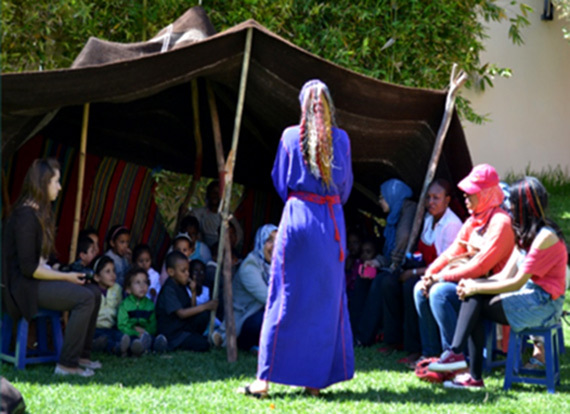 By taking place in Morocco, African land as well as simultaneously symbol of the métissage and mélange of multiple cultural traditions and trajectories, the Festival Rabat Africa encourages integration between the cultures of the Orient and those of the Occident and promotes dialogue between the many people inhabiting together within Moroccan society. 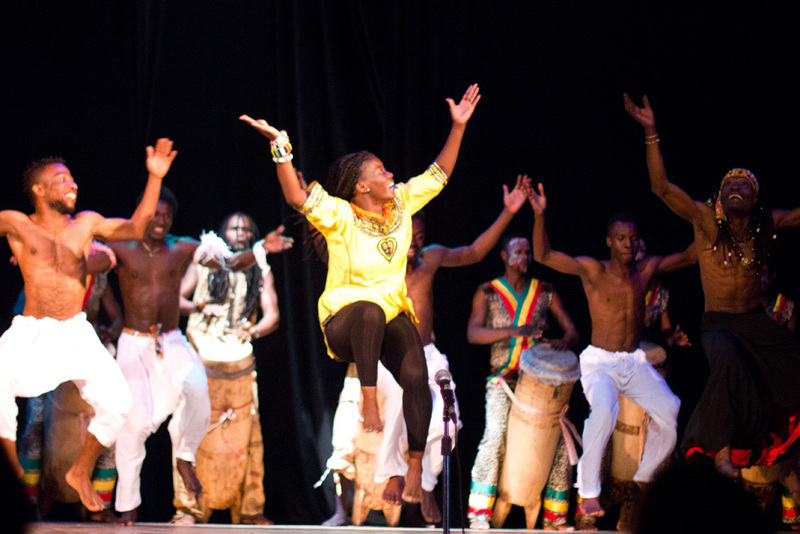 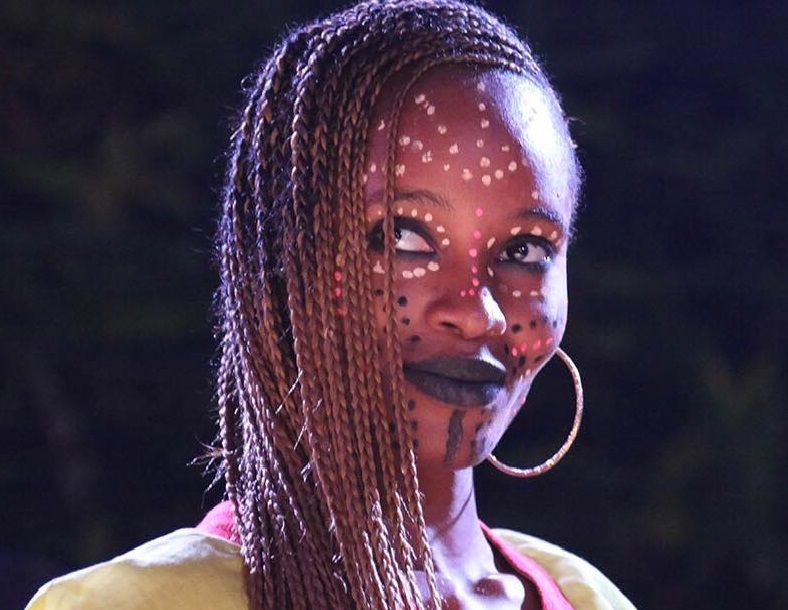 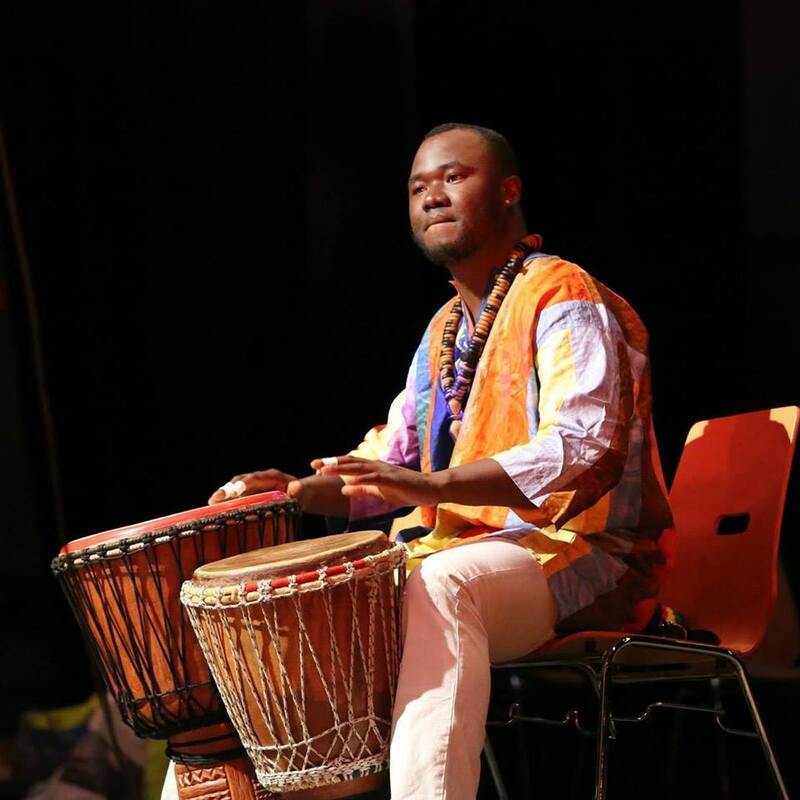 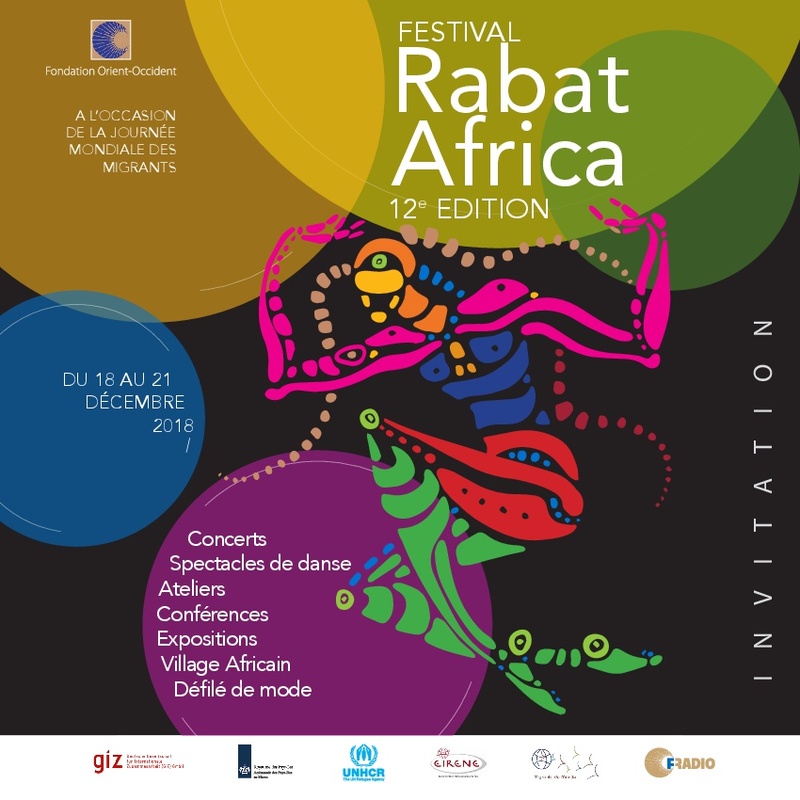 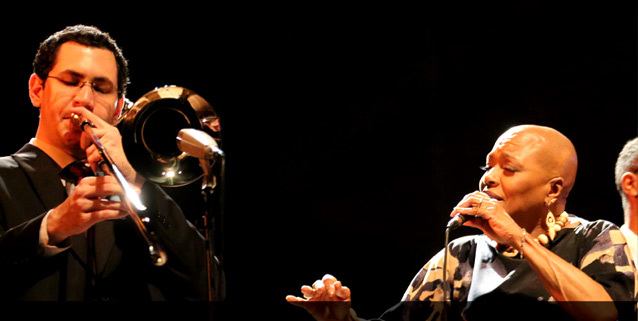 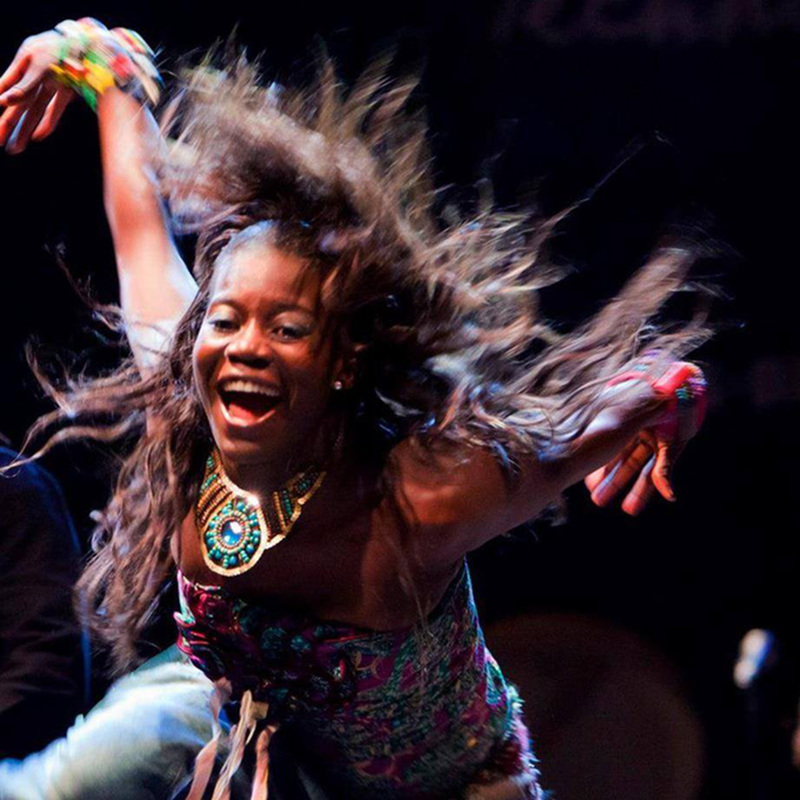 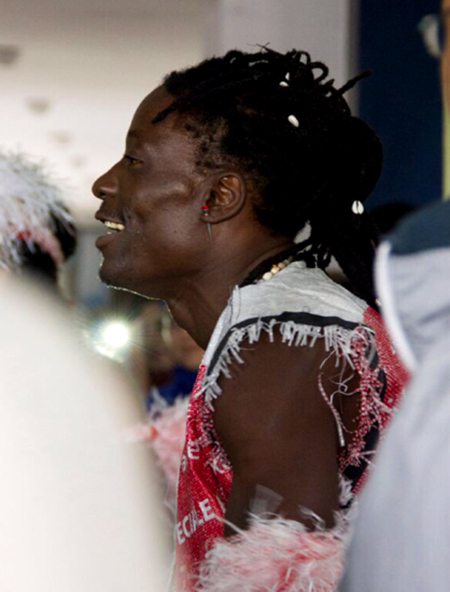 Every year, the Festival Rabat Africa welcomes musicians, dancers and artists from the most diverse cultural horizons: Africa, Maghreb, Europe, United-States, with the purpose of strengthening the value of respect within and between diverse cultural traditions. 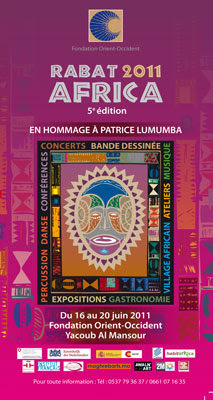 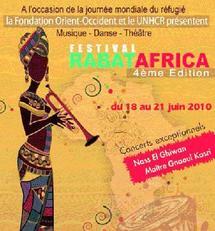 Music is central at the Festival Rabat Africa: music is the central means for the discovery of peoples’ histories, their habits and lifestyles. 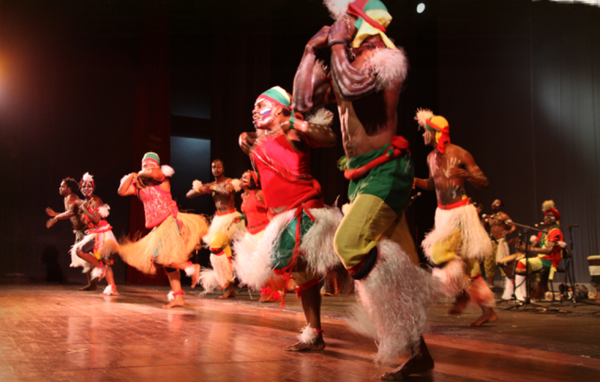 But music is not the only protagonist, dancers and artisans, artists and intellectuals are also part of this cultural manifestation. 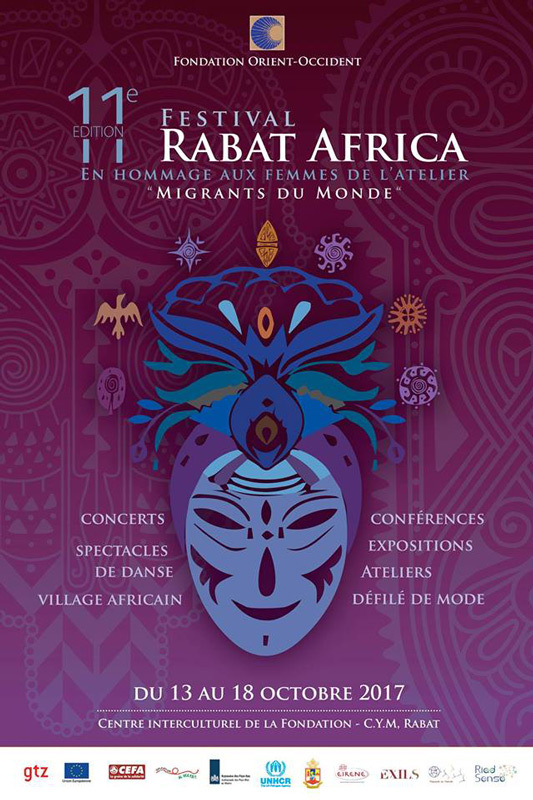 Dance and street art shows, art (African and Mediterranean artworks such as ceramics, embroidered garments that can also be exposed in the context of an intercultural market resulting in the sale of pieces), painting and photographic exhibitions and workshops, seminaries and conferences on major migration issues affecting the Mediterranean and African world are also organized. 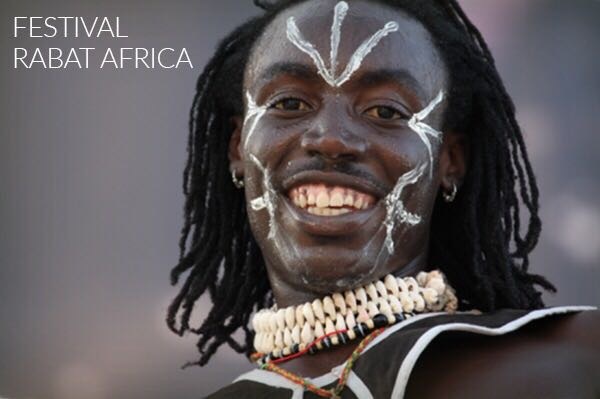 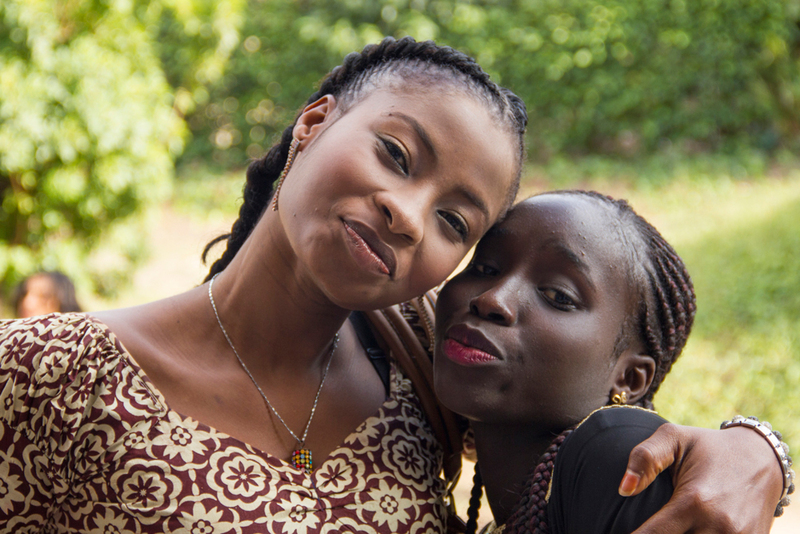 The Foundation also realizes the reproduction of an African Village. 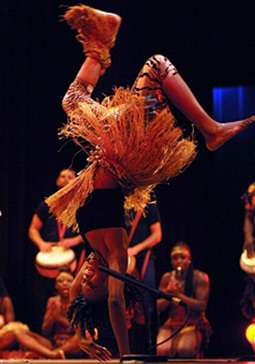 Multiple performances accompany the event in different places. 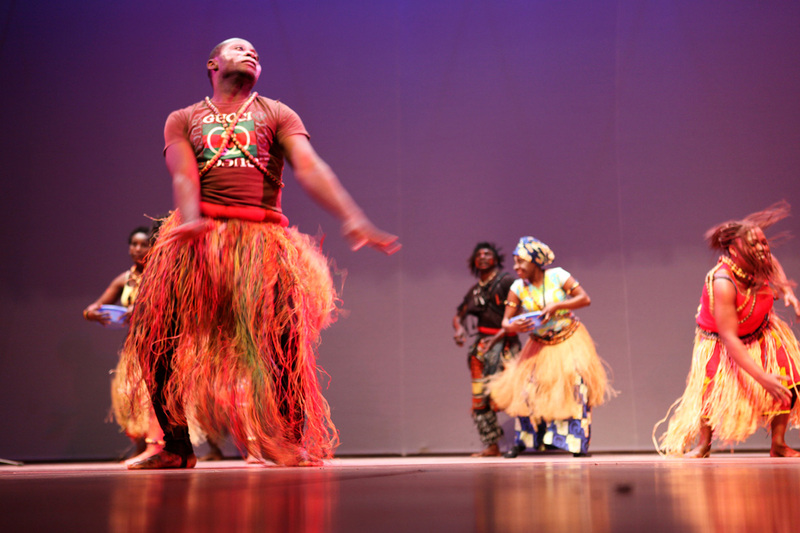 The many tunes and songs, clothes and instruments coming from the most disparate and distant corners of the world are the exemplary representatives of the cultural diversity that the Festival seeks to promote, protect and valorize. 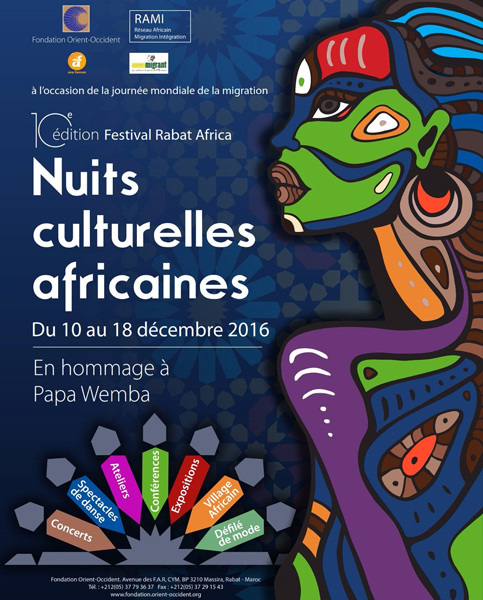 Discover the Festival Rabat Africa: this video features the highlights of the 11th (2017) edition of this inedit event in Morocco. 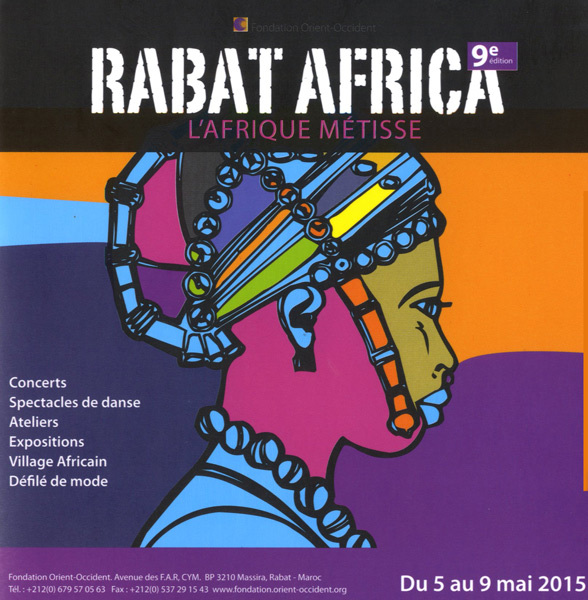 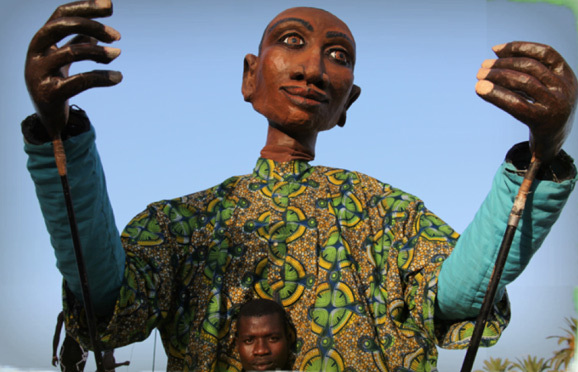 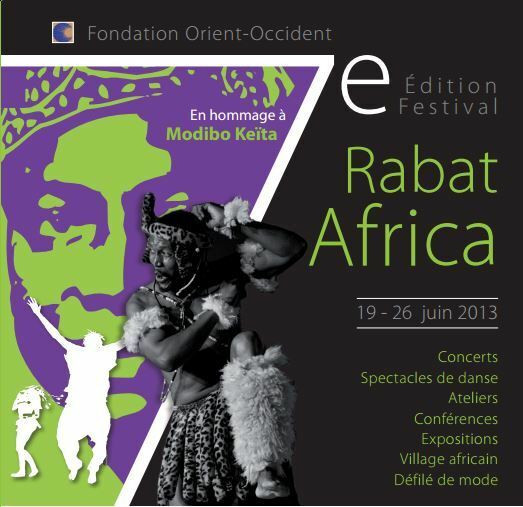 Chaque année la Fondation Orient-Occident organise le Festival Rabat Africa. 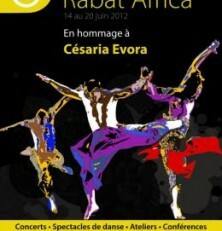 Cette vidéo vous fait découvrir la 11ème édition de cet événement inédit au Maroc.